The AS-170/I is a life-sized female love doll by AS Doll. Her body size is about 170 cm (with head) respectively 150 cm (without head); she weights ca. 34 kg (manufacturer specs). The AS-170/I is made of TPE. Body measurements: 92 cm × 50 cm × 92 cm (B×W×H) / 63 cm (under bust) / 28 cm (neck) / 32 cm (shoulder) / 66 cm (arm) / 17 cm (palm) / 90 cm (leg) / 23 cm (foot). The AS-165/E is a life-sized female love doll by AS Doll. Her body size is about 165 cm (with head) respectively 146 cm (without head); she weights ca. 35 kg (manufacturer specs). The JY-165/E is made of TPE. Body measurements: 89 cm × 51 cm × 86 cm (B×W×H) / 55 cm (under bust) / 27 cm (neck) / 37 cm (shoulder) / 63 cm (arm) / 16 cm (palm) / 85 cm (leg) / 21 cm (foot). The AS-163/E is a life-sized female love doll by AS Doll. Her body size is about 163 cm (with head) respectively 144 cm (without head); she weights ca. 32.5 kg (manufacturer specs). The JY-163/E is made of TPE. Body measurements: 87 cm × 51 cm × 87 cm (B×W×H) / 54 cm (under bust) / 27 cm (neck) / 33 cm (shoulder) / 63 cm (arm) / 14 cm (palm) / 88 cm (leg) / 20 cm (foot). The AS-162/I is a life-sized female love doll by AS Doll. Her body size is about 162 cm (with head) respectively 142 cm (without head); she weights ca. 49 kg (manufacturer specs). The AS-161/D is made of TPE. Body measurements: 98 cm × 62 cm × 109 cm (B×W×H) / 69 cm (under bust) / 26 cm (neck) / 36 cm (shoulder) / 63 cm (arm) / 14 cm (palm) / 81 cm (leg) / 21 cm (foot). The AS-161/D is a life-sized female love doll by AS Doll. Her body size is about 161 cm (with head) respectively 142 cm (without head); she weights ca. 40 kg (manufacturer specs). The AS-161/D is made of TPE. Body measurements: 83 cm × 60 cm × 93 cm (B×W×H) / 65 cm (under bust) / 28 cm (neck) / 34 cm (shoulder) / 49 cm (arm) / 20 cm (palm) / 80 cm (leg) / 20 cm (foot). 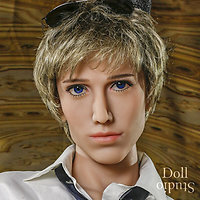 The AS-160/M is a life-sized male love doll by AS Doll. His body size is about 160 cm (with head) respectively 140 cm (without head); he weights ca. 30 kg (manufacturer specs). The AS-160/M is made of TPE. Body measurements: 73 cm (chest) / 67 cm (under bust) / 57 cm (waist) / 74 cm (hips) / 28 cm (neck) / 36 cm (shoulder) / 60 cm (arm) / 13 cm (palm) / 78 cm (leg) / 20 cm (foot). The AS-160/G is a life-sized female love doll by AS Doll. Her body size is about 160 cm (with head) respectively 143 cm (without head); she weights ca. 32.9 kg (manufacturer specs). The AS-160/G is made of TPE. Body measurements: 88 cm × 58 cm × 88 cm (B×W×H) / 58 cm (under bust) / 28 cm (neck) / 35 cm (shoulder) / 45 cm (arm) / 16 cm (palm) / 79 cm (leg) / 21 cm (foot). Anita is a female head by AS Doll. Crystal is a female head by AS Doll. 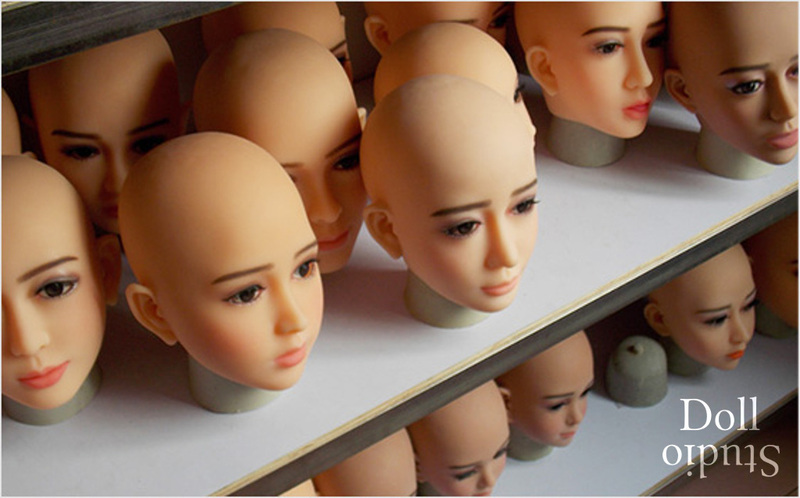 Chelsea is a female head by AS Doll. Raven is a female head by AS Doll. Stacy is a female head by AS Doll. Hailey is a female head by AS Doll. Verna is a female head by AS Doll. Aminata is a female head by AS Doll. Joyce is a female head by AS Doll. Aaron is a male head by AS Doll.